Taking advantage of the uniquely strong and quasi-linear response characteristics of its HTF™ aluminum oxide dew point sensors, Xentaur has developed a cost effective solution for demanding and mission critical moisture monitoring applications. The system has an integrated, fully automatic self-calibration procedure, in which the sensor is periodically exposed to a NIST certified calibration gas and recalibrated. Thus, there can be high NIST traceable confidence in the measurement and sensors do not need to be returned to the factory for calibration. 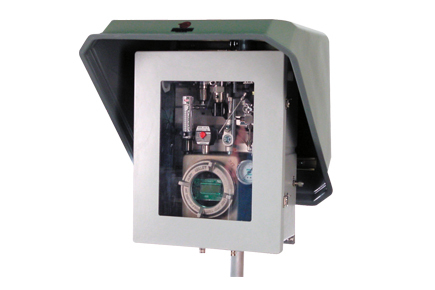 This dew point system has proven to produce consistently accurate monitoring results for dew point in natural gas and other difficult hydrocarbon processing applications, where conventional analysers have failed.